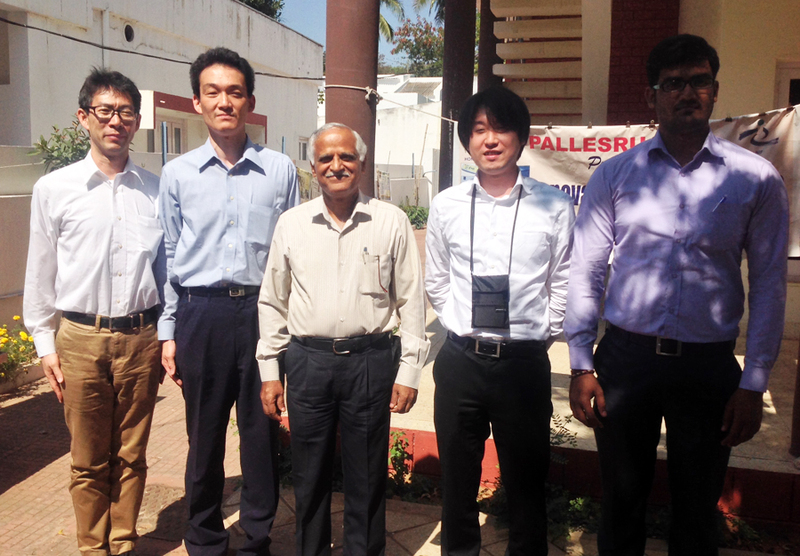 " Japanese executives undergo Internship @ Palle Srujana "
Thank you for your kind introduction on Tuesday. I was a bit surprised because ancient farm tools are still used effectively in villages and I recognized that there is a large gap between villages and urban cities. Though customization for each request is important in the stage, I believe that mass production and efficiency should be taken into account in the next stage because time and man power becomes higher money. It will take some time, but the industrialization and urbanization will progress much more rapidly than we had experienced in Japan. Actually, the domain of our company is industrial automation and we grew up in the 1960s and 1970s period. We would like to consider how we can contribute to the industrialization through our old experiences. Thank you again and we hope that your valuable activities continue and spread toward the future.